Robotic process automation (RPA) has quickly become the trendiest development in business process management (BPM) since, well, the invention of BPM. And now, enterprises have the opportunity to take RPA a step even further – with cognitive automation. Continue reading to learn about what cognitive automation means for businesses today. 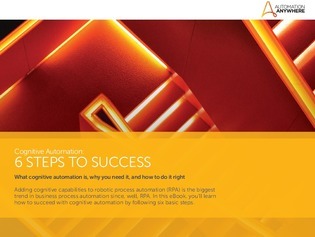 Plus, find out the six steps you can take to succeed in your future cognitive automation deployments.